Which one to Choose-Baitcast, Spincast,Spinning? 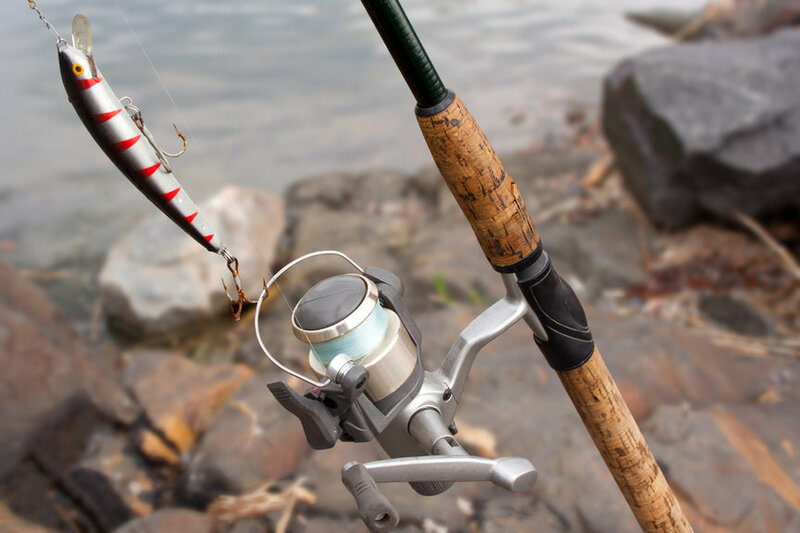 These three types of fishing reels share the same main principle. To cast the line to the desired spot. So why are there so many questions and debates on internet forums for which one is better? The right answer is that each type has their own functions and features and truth to be told, some anglers just are not aware of differences. We are going to explain each pros and cons so you will not be one of the previously mentioned uneducated angler. Alongside we note most popular and well-known models of each reel. This way you can first easily understand what reel type fits your needs the most. After that you can start the search starting from our recommended models. First up we have baitcast reels or usually called simply casting reels. These are something that eventually every fisherman should strive to use. They offer the most power and durability. However, it can take time to learn the proper technique and be able to cast with them without spending your time on “bird nests”. So it might not be the best choice for beginners. Spinning or open face reels offer something for everybody. First, they are easy to cast for beginners. Secondly, there are more bigger models available nowadays which manage to offer something to more advanced anglers too. Spinning reels are definitely not like they used to be back in days. At first they were meant to be light as possible for rapid casting with light applications for finesse casting. Today however, there are plenty of big game fish spinning reels in market. These versions usually have lower gear-ratios which are meant for heavy swimbaits for off-shore angling. Spincast reels have a hard time holding on to their market share. They essentially were made for pure beginners. This is because they are generally cheap and had simple build. 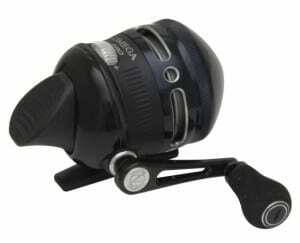 In todays market a lot of spinning reels come with low prices too and offer much more quality than spincast reels. There are actually no good reasons to buy them except from the old habit of buying a starter package for new fisherman which commonly seems to have spincaster inside. So now you probably have a basic idea how different versions work. There is no one certain reel type which is best. Every one of them has their own use and ultimately you have to pick the one that suits your needs the most. Have been using spincasters for years and have not found any fault with them. I lived on a river for over 10 years and have used all three kinds of reels. Spinning reels are too complicated and a pain especially if the bail doesn’t close right and you have to try to close it and lose a fish. Bait casters are too hard to master and too tricky to cast where you want your bait to go they make fishing too much work. I like spincasters because you can make the bait go where you want it, you don;t have to mess with a bail or feather the line you just fish. I always see the baitcasting vs spinning debate, or in this case, the baitcasting vs spinning vs spincasting debate. No one ever adds in fly casting, but then, most have great difficulty learning how to fly cast. Learning to fly cast is very easy, despite all the nonsensical instructions found in books and videos (all of which you should pass by if you’re learning how to fly cast). I taught myself in about 30 minutes just by trial and error. It does take more practice to get good at it, but once you’re good at it, there are no line tangles ever. You can also gently land a fly exactly on the spot you want it to land, thus you don’t spook fish nor miss your target. You have complete control over your line and fly even if a sudden gust of wind comes up as you can correct such trouble in mid cast. You can cast out to very long distances (the record is 243 feet). Fly fishing outfits come in many sizes from those made for panfish on up to ones made for big salt water fish. Once I taught myself how to fly cast, I gave up baitcasting, spinning, and spincasting. They’re no where near as good as fly casting. I am an advid anlger who uses high end spincast reels and One spinning reel. I love them both but would never get rid of my spincast reels. I use vintage ones as well as new quality models and they have served me well. They are versitle and I have caught everthing from bass pike musky walleye you name it with no problems. Are there bad models …sure but thats the case for all reels. I use the diawa silvercast 170 and 120 ……the 170 gets 29inch per crank and is more than fast enough for most situations…the 120 get 25 per inch and is my crank and spinnere rod .that matches most baitcasters with less hassle. You have to know which models and what kind of line to use. And yes, some can use braid. Co-polymers work great on spincast reels with no memory. They are trouble free and you spend your time fishing … not taking tangles out. Every serious fisherman should have at least one quality one. I hike thru heavvy woods sometimes as a bank anlger to get to spots and this is spincast territory.The cover protects from branches and bumping into things.I almost broke my mitchell 300 spinning reel hiking thru the woods as the bail got caught on a branch. There is a place for spincast reels and not just for begginers. I am not a beginer and can cast baitcasters but I prefer spiniest. The greatest fishing invention ever made! I’m sorry to say this, but I feel that most of your replies are inadequate. I am a very serious fisherman and spin-cast is for beginners, and beginners only. Spinning (or open face) is a very versatile, medium action reels. You can buy the bigger flashier open face reels, but most of them are for saltwater or catfish fishing. You can fish for almost any species of fish with a good ol’ spinning reel. Bait-casters are not as versatile, as they are mostly for heavier fish, such as bigger bass or catfish. 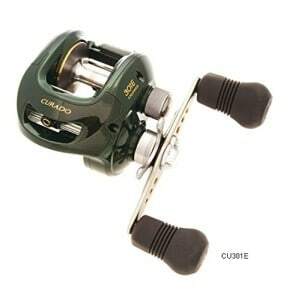 Many experienced anglers use these types of reels. I, personally think that the spinning reels are my favorite style of reel. It’s a great reel to test out the waters to see what type of fish you’re up against, and you can gauge the fish size with the precision sensitivity of this reel. It is able to catch most species of fish with ease. It’s the lure that counts. With everything out in the open and a simple setup, it’s very very easy to prevent or remedy line tangles. It’s by far the easiest to cast and aim with, as well. Also keep in mind that your reel isn’t everything. Without a good lure arsenal and high quality rod, you won’t be very successful in catching fish. So, in conclusion to my paragraph, if you’re a beginner, I’d go with the spin-cast reel. If you’re a very experienced angler, than the bait-cast or spinning reel is the best option. For the heavier fish, go bait-cast. If you’re fishing in unknown waters, the spin-cast is the way to go. 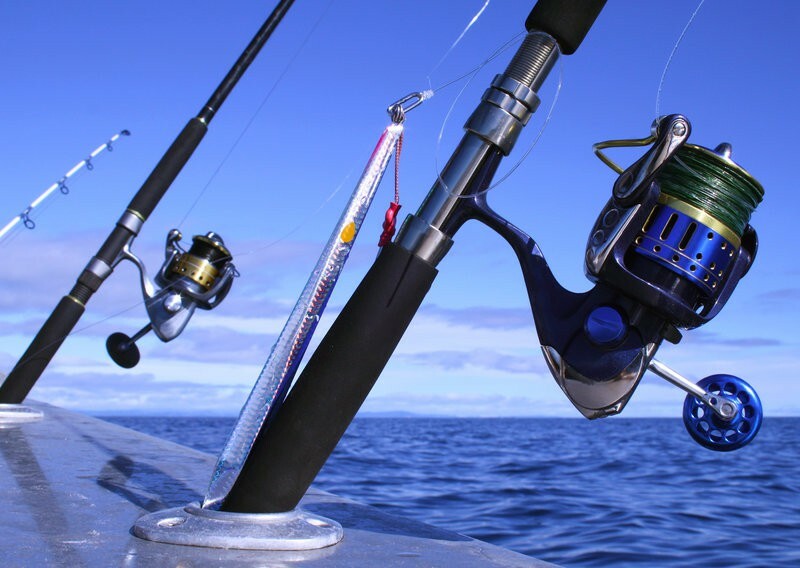 I think overall, for the best fishing experience, that the spinning reel tops them all. the question of which type of reel is best cannot be answered, because all 3 types work well. maybe what works well for you won’t work so well for me. i don’t do well with bait cast reels but i do see there advantages. spinning reels also don’t work that well for me though i do like them. but the spincast reel, especially the vintage examples are second to none. 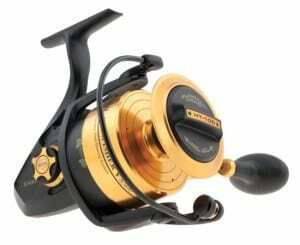 calling spincast reels cheap with inferior drag is the most ridicules thing i have ever heard. a johnson sabra 130 B with it’s large hardened gears, level wind spool and automatic transmission is the best fish fighting system ever put into a spincast reel and is capable of landing very large fish. many smaller spincast like the vintage zebco 33 and johnson century are greatly loved by generations of fishermen because they are very well made, perform very well, are easy to rebuild and will last a lifetime when properly cared for. good luck achieving that with the other 2 types of reels. if you think all spincast reels are cheap pieces of junk, check out the muzzy bow fishing reel which is a slightly modified version of the qualia deep muddy 40. try this beast of a reel out and you will forget about using a hard to master baitcast reel for pulling fish out of cover. There is a fishing reel for everyone. I enjoy a day on the pond with a spincaster. I have asked and been asked how the fish are biting and what bait they are using. Never been asked why I am using a certain reel. I just wish comments would be more constructive. To each his own. Can’t go wrong with a day on the pond just fishing. I agree that it doesn’t matter what you are using as long as you are having fun but my personal preference is baitcaster. Been using them since I was a kid when my father gave me my first one at 9 and I sat up two chair with a bowl in the middle mastering the cast. Now I have no problem flipping my bait into brush or skipping it under docks. Backslashes are no longer a problem. I do love them and will never switch back.